The GHRA 2017 took place from July 10 to 21, 2017 at the Leibniz Institute of European History in Mainz and the Archives of International Committee of the Red Cross in Geneva. It was organized by FABIAN KLOSE (Leibniz Institute of European History Mainz), JOHANNES PAULMANN (Leibniz Institute of European History Mainz), and ANDREW THOMPSON (University of Exeter) in cooperation with the International Committee of the Red Cross and with support by the German Historical Institute London. First Week: On Day One, recent research and fundamental concepts of global humanitarianism and human rights were critically reviewed. Participants discussed crucial texts on the historiography of humanitarianism and human rights. 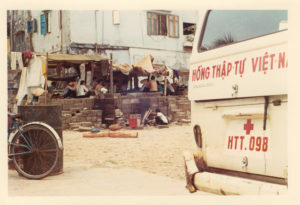 Themes included the historical emergence of humanitarianism since the eighteenth century and the troubled relationship between humanitarianism, human rights, and humanitarian intervention. Further, twentieth century conjunctures of humanitarian aid and the colonial entanglements of human rights were discussed. 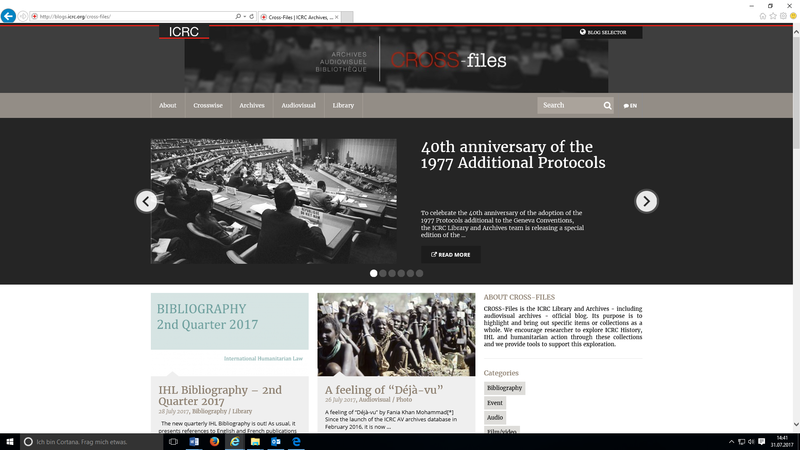 Finally, recent scholarship on the genealogies of the politics of humanitarian protection and human rights since the 1970s was assessed, also with a view on the challenges for the 21st century. In diplomatic history, the so called «good offices’ diplomacy» is a well-known but still under-investigated characteristic instrument of Swiss diplomacy. Historiography usually understands practices of mediation as related to cases of emergency. Most notably, they are utilized when diplomatic relations have ended under the conditions of war. From such a moment onward, war parties depend on the mediation of a neutral third party when bilateral questions arise which require some form of negotiations. 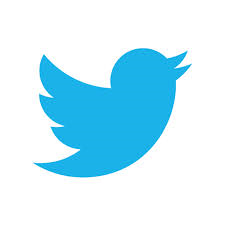 This approach is useful for understanding intergovernmental communication during wars. 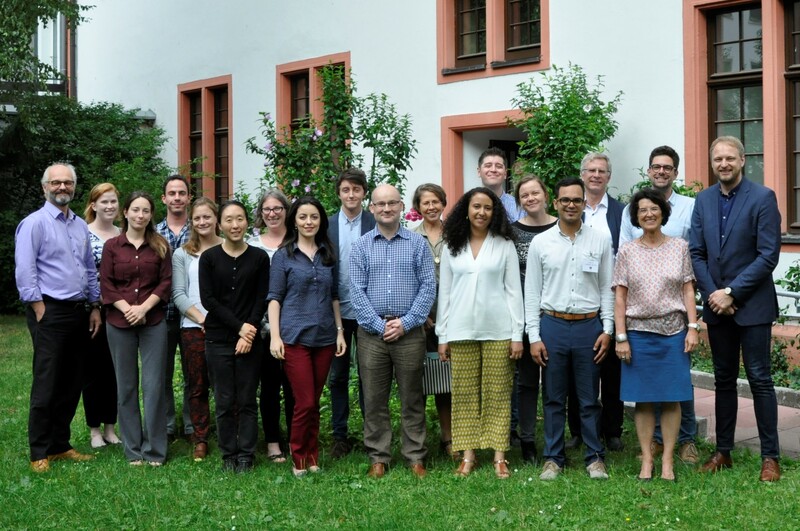 However, this project uses the practices of Swiss mediation in Asia during World War II in a different way: it argues that the practice of «good offices» serves as an analytical lens to elucidate the development and impact of global expertise. Following this approach, we emphasize that Swiss mediation presented an opportunity to overstep formal bilateral conversations between warring parties based on normative diplomatic rules. Most of the Swiss diplomatic representatives were local residents. Therefore, they were part of the community of foreigners who came under pressure during Japanese occupation. Through the eyes of the Swiss representatives, the complex networks of fugitives, foreigners, prisoners, and allies in its various forms of (dis)entanglement gain visibility in global history. At the end of World War II, Switzerland had become the representative of an immense variety of states on a global scale. The transformation of these multi-layered networks from documenting colonialism into forced migration under the condition of war allows to critically ask about concepts of transculturality and transformations of colonial societies. The Swiss practice of «good offices» appear as consequence of an early industrialized and export-oriented society. The early presence of Swiss in Asia left their imprints in form of a specific understanding of global presence, demands of markets, and expertise, documenting global opportunities of small and neutral states in the wake of great powers. In this research project, this approach is discussed with the metaphor of Switzerland as a «global nation». We argue that the new reading of the Swiss «good offices» unfolds hidden parts of the global history of World War II. One of the most spectacular but little-known activities during the war in the Pacific gets into view: the exchange of «enemy nationals» through neutral ships. These exchange activities offer a crucial and new understanding of the question to what extent the multiple layers of globality shaped the theatre of war with long lasting consequences for the postwar period. During World War II, the warring parties imprisoned civilians whom they declared as «enemy nationals» in internment camps in Asia, Europe, and the US. 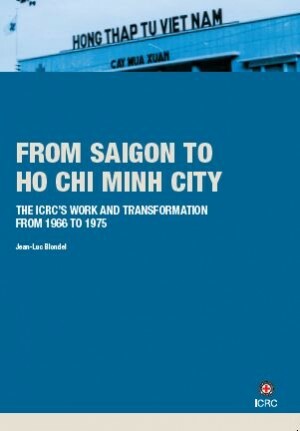 From 1942 onwards, a number of complex agreements between the warring parties resulted in activities of «repatriation».. Such activities aimed to include diplomatic personnel, but mainly civilians. Some of them had lived over years in places which now were called «abroad» in reference to their nationality, although the expressions «enemy alien» and «repatriation» did not correspond to the people’s self-understanding. In many cases, the «repatriation» was an act of forced migration. It took place on ships which were especially chartered for this purpose. Marked with the emblem of the ICRC and sometimes even more explicitly with the word «diplomat» at the long side, the ships started in American, British and Asian ports and travelled for the so-called exchange to Portuguese neutral ports in Goa or Mozambique. A Swiss representative was always on board, observing the negotiated conditions of exchange – e.g. the checking of passengers’ lists, the handling of luggage, freight, and money. 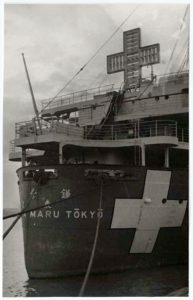 Since the Swiss delegates received all information from both sides, the source material available in Swiss Archives allows a unique view into one of the most spectacular, but under-investigated operations the Pacific War had to offer. «Teia Maru», navire japonais de 15’000 tonnes (Shanghai). The language and logic of humanitarianism occupy an increasingly central place in international law. 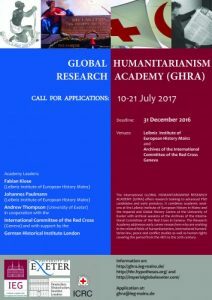 Humanitarian reason has shaped the ideology, practice, and technologies of international law over the past century, including through the redescription of the laws of war as international humanitarian law, the framing of mass displacement and armed conflict as ‘humanitarian’ crises, the use of humanitarian justifications for intervention, occupation, and detention, and the representation of international law as an expression of the conscience of humanity. For some, this trend is clearly positive – international law is reimagined as humanity’s law, humanity as the alpha and omega of international law. Yet critics have pointed to the dark side of these developments and of the humanitarian logic operating within international law, arguing that consolidation of the laws of war has served the interests of powerful groups and states at key moments of potential challenge to existing systems of rule, humanitarianism has been taken up as a language to rationalise the violence of certain forms of occupation, intervention, and warfare, international humanitarian law has displaced other more constraining forms of law as the world becomes imagined as a global battlefield, humanitarian NGOs have served as a fifth column that has enabled particular forms of social transformation and constrained others, and a supposedly impartial humanitarianism has displaced politics. Regarding our new IEG open access publication “On site, in time” here is my article on the island of Chios, in which I focus on the massacre of Chios in 1822 and its impact on international interventionism. During the year 1822, European capitals were inundated with reports about a massacre of the Christian population of Chios. The island, a few kilometres from the mainland of Asia Minor in the eastern Aegean, and the supposed birthplace of the ancient poet Homer, had become the scene of one of the bloodiest episodes of the Greek War of Independence. At the time, Greece belonged to the Ottoman Empire. Starting in March 1821, an armed uprising against the rule of the Sultan emerged in different places in Greece. In the reconquest of Chios in April 1822, Ottoman troops operated with extreme brutality. They pillaged and plundered the Greek settlements, murdering in the process an estimated 25,000 residents and abducting more 45,000 to the slave markets of the Ottoman Empire. While the Greek independence movement itself relied on merciless warfare and likewise perpetrated a series of massacres of the Muslim population, the European reporting concentrated almost exclusively on the Ottoman atrocities against the Christian population. 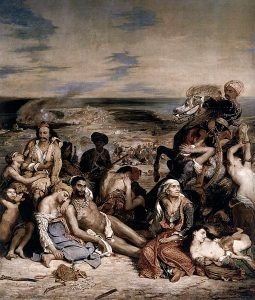 Such messages inspired the French painter Eugène Delacroix to create the historical painting “The Massacre of Chios.” Presented to a wider public for the first time in 1824 during the Parisian salons, it also caused a great sensation beyond the borders of France. The emotionally charged depiction of the Greeks, who had been at the mercy of the Ottoman soldiery, drew on a humanitarian narrative that had already more or less developed in the course of the campaigns against the slave trade. With his visualization of suffering, Delacroix intended to arouse the concern and sympathy of the viewers for the fate of the Greeks and thereby to mobilize political support for the Greek struggle for independence. In about a week the third Global Humanitarianism Research Academy (GHRA) will meet for one week of academic training at the Leibniz Institute of European History (IEG) in Mainz before continuing with archival research at the ICRC Archives in Geneva. 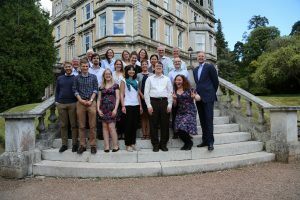 The Research Academy addresses early career researchers who are working in the related fields of humanitarianism, international humanitarian law, peace and conflict studies as well as human rights covering the period from the 18th to the 20th century. It supports scholarship on the ideas and practices of humanitarianism in the context of international, imperial and global history thus advancing our understanding of global governance in humanitarian crises of the present. Luís Paulo Bogliolo is a doctoral candidate with the Laureate Program in International Law at the University of Melbourne (Australia). He holds an LLM in Public International Law from the London School of Economics and Political Science, and a BA Law from the University of Brasília. He has been a lecturer at the University of Brasília, Coordinator of Regulation in the Department of Intellectual Rights at the Brazilian Ministry of Culture, and Law Clerk at the High Court of Brazil. His thesis is entitled Bombing Civilians: Aerial Warfare and Distinction in the History of International Law. Jenny Chapman completed a BA (Hons) in Historical studies and Religious studies with Comparative religion, and an MA in Humanitarianism and Conflict Response at the University of Manchester. She was awarded an ESRC- funded Case Studentship with the Humanitarian and Conflict Response Institute (HCRI) at the University of Manchester in 2015. Her PhD project investigates the British Medical Humanitarian sector between the years of 1988- 2014 and is co-supervised by HCRI and the Humanitarian Affairs Team in Save the Children UK. Jenny is particularly interested in role that history can play in offering a reflective and analytical insight into the humanitarian System. What does it mean to belong to the human race? Does this belonging bring with it particular rights as well as responsibilities? What does it mean to act with humanity? These are some of the big questions lying at the heart of a new edited collection from Fabian Klose and Mirjam Thulin, Humanity: A History of European Concepts in Practice From the Sixteenth Century to the Present (2016). 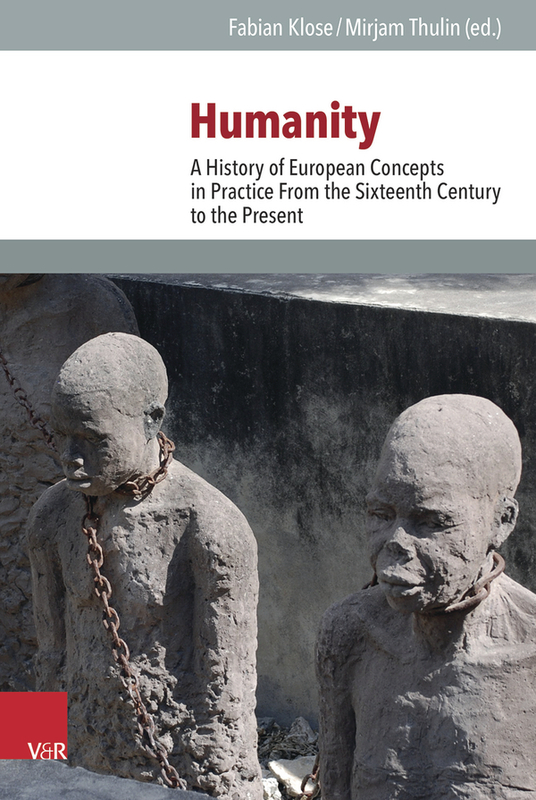 Based on a 2015 conference at the Leibniz Institute in Mainz, the book, as the title suggests, is not a purely conceptual history of the term ‘humanity’. Rather it looks to discover ‘the concrete implications of theoretical discourses on the concept of humanity’ [page 18]. In other words, how did ideas of ‘humanity’ guide European practices in areas like humanism, imperialism, international law, humanitarianism, and human rights? The editors argue that despite the implied timeless, universal nature of the term, humanity is both a changing, dynamic concept, and has been prone to create divisions as much as it promotes commonality. Although the volume is a study of European conceptions of humanity, the contributions are transnational, displaying how conceptions of humanity were practiced in Europe and in the continent’s interactions with the wider world over the course of five-hundred years. 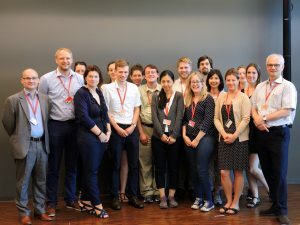 On Wednesday, 20th July, the fellows of the GHRA 2016 discussed topical issues as well as the role and impact of history with Charlotte Lindsey Curtet at the Humanitarium, the conference centre at the headquarters of the ICRC in Geneva. As Director of Communication and Information Management since 2010, Charlotte Lindsey is not only current in all present affairs but also responsible for the Archives of the ICRC. Charlotte Lindsey Curtet with the fellows of the Global Humanitarianism Research Academy, Geneva 20 July 2016. She herself has witnessed great changes since she joined the organisation in 1993 when she first went on missions to Bosnia and Ruanda. In 1999-2000 she conducted a major research on women and war resulting in the publication of Women Facing War (2001). The findings in some instances surprised her herself, she said. 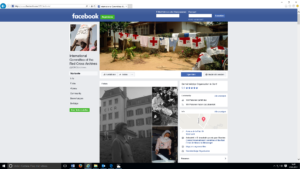 Looking at women not merely through the prism of sexual violence and as victims but as actors in their own right broadened the perspectives and made the ICRC more gender sensitive in terms of operational response as well as legal development. The “all victims approach” prevalent until then has since been abandoned in favour of a more nuanced notion without giving up the principle of impartiality. In more recent years, similar discussions are taking place in relation to the challenges of cultural and particularly religious differences. The aim always is to find communality in order to come to the aid of those who suffer across the divides of a conflict. Increasing Respect for International Humanitarian Law in non-International Armed Conflicts (2008) suggests in a chapter on “strategic argumentation” to appeal to core values as “the fundamental principles of humanitarian law are often mirrored in the values, ethics or morality of local cultures and traditions. Pointing out how certain rules or principles found in IHL also exist within the culture of a party to a conflict can help lead to increased compliance“ (p. 31). Fabian Klose, Review of: Alexis Heraclides / Ada Dialla, Humanitarian intervention in the long nineteenth century. Setting the precedent, Series: Humanitarianism. Key debates and new approaches, Manchester, Manchester University Press, 2015, 253 pp., ISBN 978 0 7190 8990 9, $ 110. 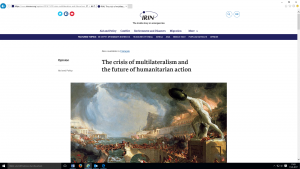 The issue of humanitarian intervention – the use of force to prevent and to end gross violations of humanitarian norms – is usually associated with the last decade of the twentieth century and described as a recent phenomenon emerging mainly after the end of the Cold War. However, over the last few years an intriguing discussion about the historical origins and the emergence of the concept has evolved. 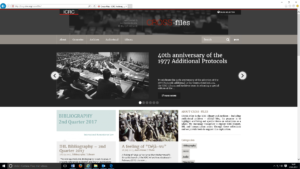 Recent studies provide first significant steps towards a genuine history of humanitarian intervention and convincingly sketch the genealogy of the concept’s long history, reaching back to the 18th and 19th centuries. With very few exceptions, most of these books focus on the European interventions to protect Christian minorities in the Ottoman Empire during the long 19th century and present these case studies as pivotal for the evolution of the concept . In their new book “Humanitarian intervention in the long nineteenth century. 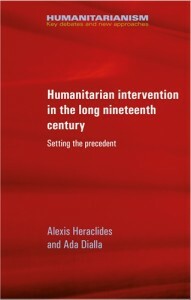 Setting the precedent”, published in Manchester University Press’s new series on “Humanitarianism”, Alexis Heraclides, Professor of International Relations at the Panteion University in Athens, and Ada Dialla, Assistant Professor of European History at the Athens School of Fine Arts, largely follow this track. Their choice of case studies also include the already well-studied interventions of the Great Powers in the Greek war of independence (1821–32), in Lebanon and Syria (1860–61) as well as the so-called “Bulgarian atrocities” during the Balkan crisis of 1875–78. Only the very brief chapter on the US intervention in the Cuban war of independence in 1898 adds an additional case not related to the Ottoman Empire.